Are you looking for a cost-effective method for ordering custom labels or custom stickers in bulk? Well, printing roll labels can be a great option. Clear labels are printed on polypropylene and are great for wine bottles or water bottles. 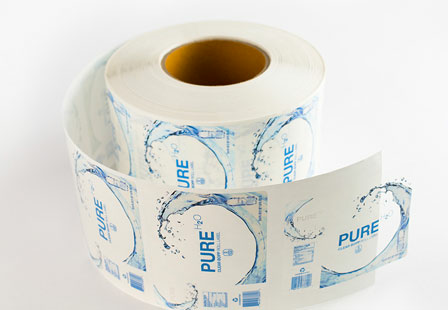 Bring your packaging, shopping bags or product packages to life with our clear BOPP roll labels. Instant brand recognition! Select from a variety of clear label printing options and shapes including oval, square, rectangle, circle or a custom shape. They are water and oil resistant and can stick to a variety of surfaces. Other uses include mason jars, wedding favors, name tags, coffee mugs, cups and so much more. Please note: All rectangular and square labels come with 1/8” rounded corners.